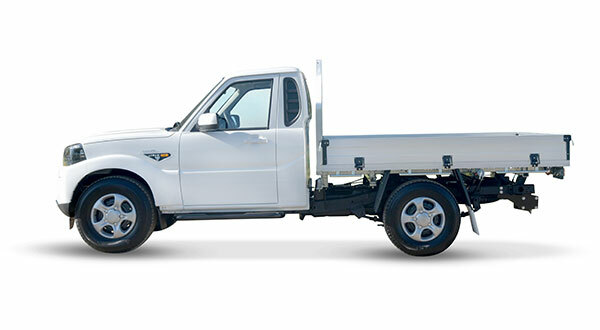 They say when it comes to cars, everybody is an expert, but unlike your typical punter, Toowoomba Genio owner Rick Mules is a guy who gets paid for what he knows about vehicles and their operation, and has done for years. The 59-year-old former Air Force Vehicle Instructor still works full time with vehicles, though nowadays it’s as a Greyhound Coach driver on the Toowoomba to Grafton run, or sometimes out west to Miles. 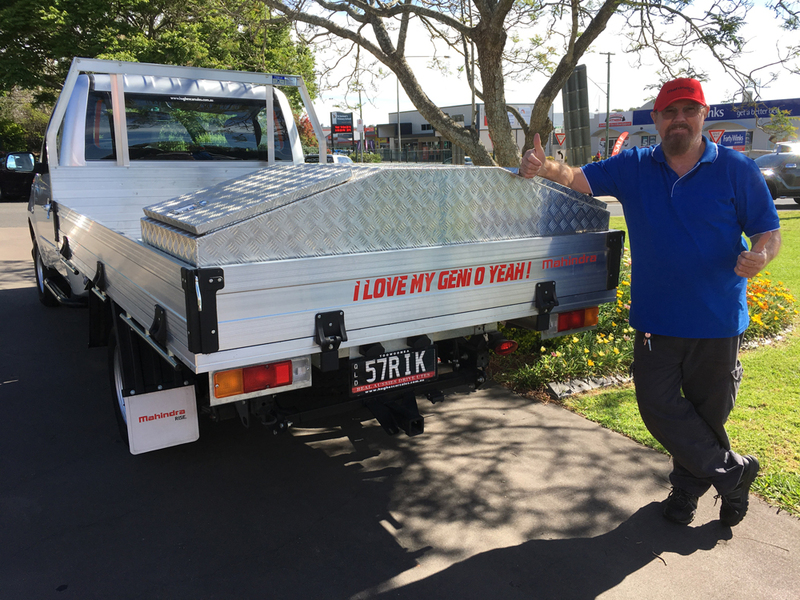 So when Rick sings the praises of the 2016 Mahindra Genio he bought himself earlier this year from Toowoomba Mahindra, it’s a tune worth listening to. 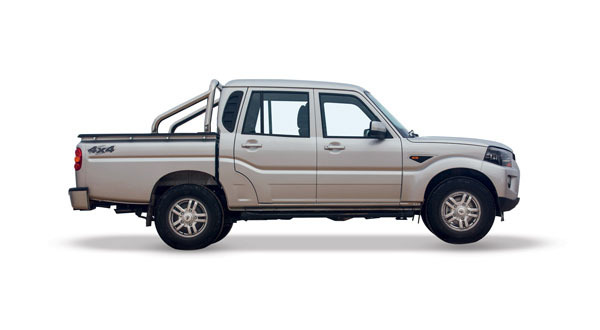 When the time came for a new vehicle, Rick bought Mahindra again, but this time it was a 2WD, in the form of the tradesman’s best kept secret – the Mahindra Genio. 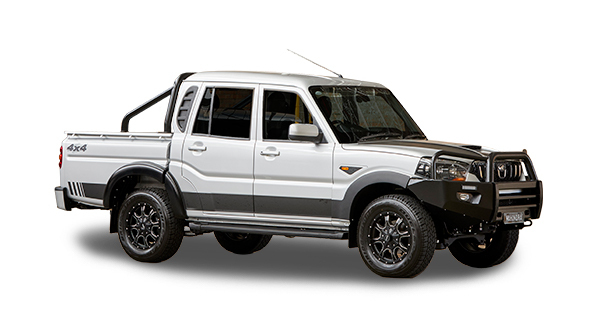 A corner stone in the Genio’s reputation for reliability is the mHAWK’s turbo diesel engine – a joint development between Mahindra and Austrian diesel powertrain engineering specialists AVL. 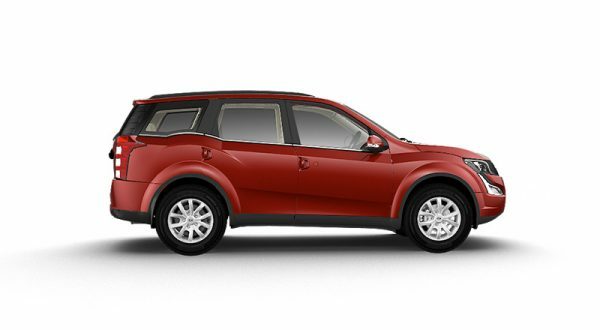 It features all-aluminium cylinder heads, 120 brake horsepower and 280Nm of torque. Its 2nd generation Bosch Common Rail System boasts a fuel economy of 8.41L/100kms on combined cycle. “The power it has with the turbo is impressive, even though it’s only a 2.2 – it doesn’t matter because it mates so nicely to the mHawk motor. The other vehicles I tested, cut in a fair bit later, but the Genio turbo cuts in at about 1150 revs, so, just when you need the power, you’ve got it. It means that if you want to get away smoothly and or overtake somebody, it’s easy. 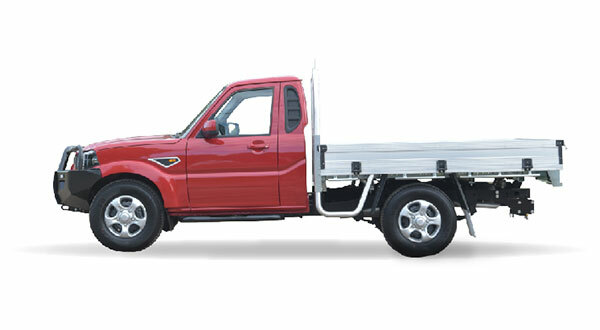 The Mahindra Genio is establishing itself as a modern transport solution, born of ideas to take your business places, from its 1.2 tonne payload (Single Cab 4×2) and zippy performance, to its 2.7 metre tray (nearly 9ft) and miserly fuel economy. “Fuel wise, I’ve done Brisbane and back twice and then the wife took it to Warwick and back and did a bit of stuff around town, and I’ve just now hit the quarter of a tank – with 730 kilometres on it – so it’s not doing too bad. Combined fuel consumption is supposed to be 10.2, its average is 9.6, but on the open road it’s about 7.7.